If there’s one person who’s almost always fickle to shop for, it’s your mom — and Mother’s Day is no exception. You could do the typical flowers (in grade school we used to do carnation sales in spring, and often my mom would get one of those), chocolate or gift card. 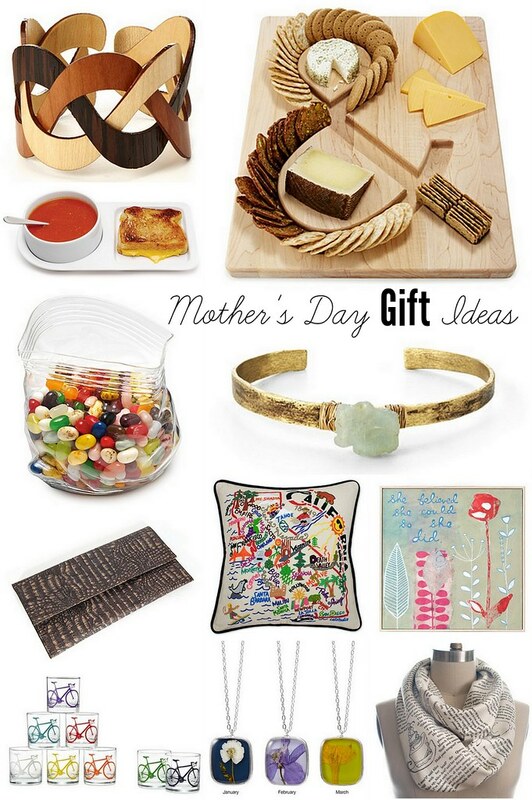 This year, I’m challenging you to get my creative with your Mother’s Day gifts. The best place to start? Uncommon Goods. Not only will you find adorable and unique Mother’s Day gifts (click here to start exploring and shopping), but the company supports artists and designers by stocking its shelves with products handmade by these creatives. (Half the store is handmade products, and let me tell you, they’re gorgeous and inspiring!) Plus, the company incorporates recycled and upcycled materials into about one-third of their collection, so Mother Nature is getting a Mother’s Day gift, as well. My parents just recently moved from a large house to a small condo in the city, and my mom has been on a redecorating kick. These gift ideas from Uncommon Goods are perfect for her new home. My personal favorite is the set of bicycle glasses. Uncommon Goods was kind enough to offer one reader a $50 gift card to do your own Mother’s Day shopping! Enter using the widget below. Only those in the U.S. are eligible to win. Let the shopping commence! *Thanks to Uncommon Goods for sponsoring this post and giveaway! All thoughts and opinions are my own.